Portraits and sketches are precious keepsakes that we treasure for ever. Upload the photograph of your choice and Kapruka will get it hand sketched by professional sketch artist Dinesh Kodithuwaku. Remember to place your order at least 2 days ahead of the required delivery date. Selected Size is Not Available. Please Select A Different Size. A Pencil face sketch is a very thoughtful and loving gift. Long before the camera was invented, people sought the help of professional artists to have a portrait done of themselves, their children or even their animals. Even then, such portraits took a very long time to complete and talented painters charged large sums of money to paint a realistic likeness of their subjects. Such completed pictures were then framed and given a place of prominence and their value was deemed priceless. 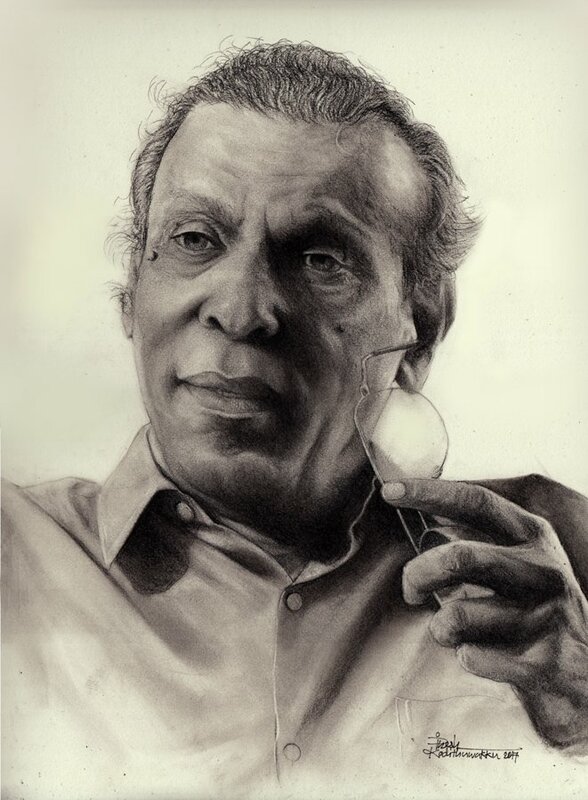 Kapruka gives you the opportunity to have a portrait done of yourself or of your loved ones by the highly talented sketch artist Dinesh Kodithuwakku. Once completed, you will be sure to attach the same sentimental value to this perfect gift that will be treasured for a lifetime. What is special about a sketch? A photograph can be taken anytime by anyone with a good camera but when you do a hand drawn sketch of a person it automatically adds character and gives the picture a personal touch and you unthinkingly form a bond with it. When presented a personalized gift like this it shows how much you are thought of and valued in the heart of the person who is sending it to you. Dinesh Kodithuwakku is a highly talented young artist who has the ability to do a sketch on any of your chosen photographs, giving 100% concentration and detailing to every minute part of it. Is it time consuming to do a sketch? Good and valuable things in life are never obtained in rush. It takes a lot of time to pay attention to every small detail on your treasured photograph and to bring out all the characteristics in it where each stroke is done with great care, to bring out the perfection we have guaranteed for you. How do u deliver without damaging it? We at Kapruka, excel in the art of delivery. Your precious drawing will be delivered in a gift box where it will not get crushed or crumpled during delivery. Is my money well spent on something like this? It is simply a life time gift.